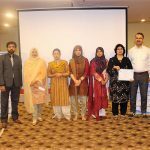 WET WORKSHOP: Biological Risk Mitigation Training Program organized by Pakistan Biological Safety Association in collaboration with Fogarty International Center, National Institute of Health, USA and Behavioral Based Improvement Solutions, USA (10th-14th September 2017). 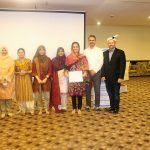 Sean G Kaufman, CEO and founder partner of Behavioral based improvement solution, USA was invited to train all participants from twenty different institutes from all provinces of Pakistan on donning and doffing of high level of personal protective equipment like PAPR, Tyvek suits etc. 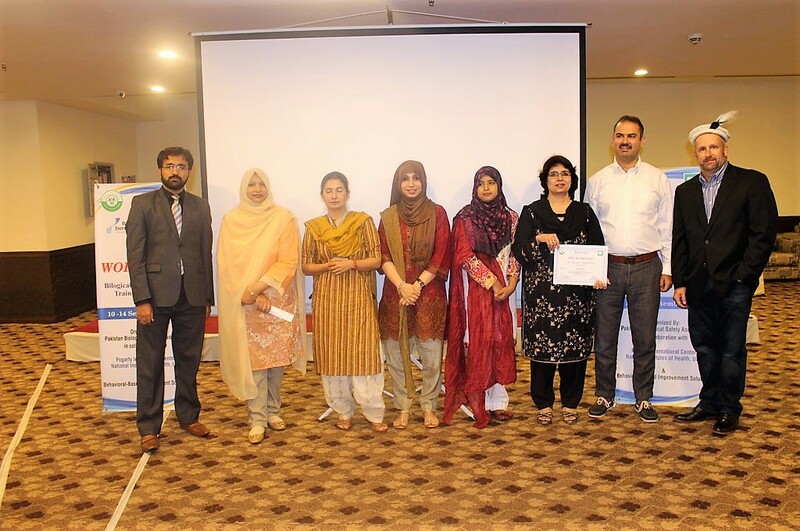 All participants were also trained during workshop on needle stick injuries response and other emergency response, spill response both outside and inside Biosafety cabinet and designing a lab covering locker room, shower room, ante room, decon room, laboratory, animal room and all related signage etc.